My thoughts and prayers go out to those in Paris. It's a horrible tragedy and my prayers are with those in Paris. My heart goes out to everyone that's been affected. This is just awful and I still can't believe what has happened!! Such a horrible tragedy. I still can't believe this happened. My heart goes out to everyone affected. I'm still in shock. I'm so sorry this happened. Yes, this is brutal for those affected and I could only stare at the news yesterday in horror. My thoughts are with those in Paris and who have loved ones in Paris. I know someone there, and he was close to one of the restaurant shootings but thank goodness he's okay! I'm glad and relieved to see your comment here! I hope none of your friends or family were in Paris yesterday. Still can't believe this has happened, so very sad. So horrible. Watching the aftermath is bad too. Seeing how American politicians (the some of the ones running for president) are responding is embarrassing. Seeing how the world as a whole is inspiring and gives faith in mankind. 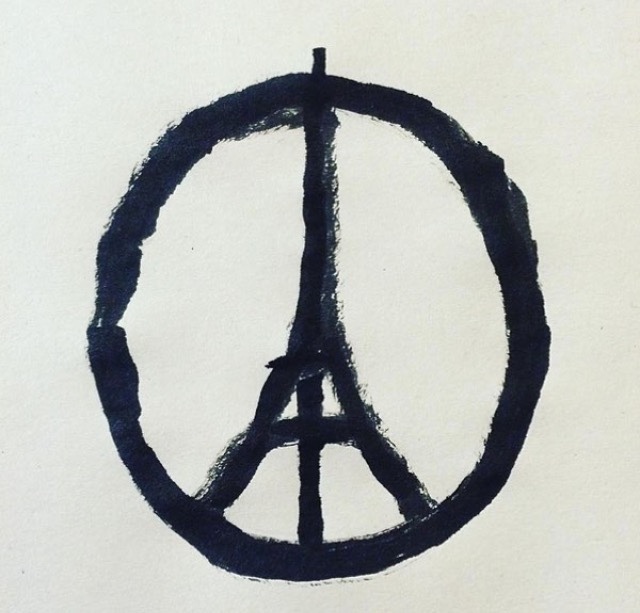 My thoughts are with everyone in Paris and the people affected by this tragedy, which is pretty much everyone. So freaking sad.